I can feel fall in the air which means it’s time for another mystery book! 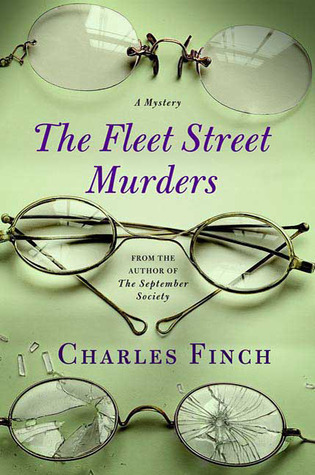 This time I read the next book in the Charles Lenox mystery series, The Fleet Street Murders by Charles Finch. I started reading the Lenox series as part of the Historic Fiction Reading Challenge. 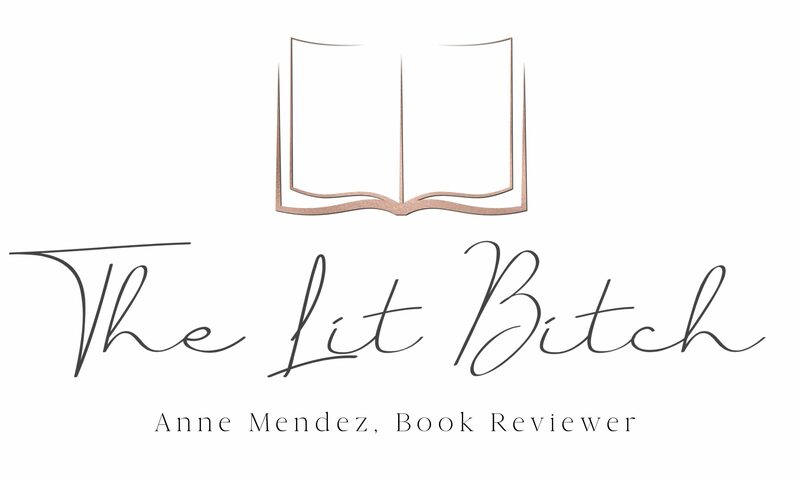 What I like about the series is that it is consistently good….you know how some book series start good but then can’t keep up the momentum or some of the installments are good while others just aren’t…this book series IS NOT like that. As I have said before, the series is simple and at time predictable but that is also what makes it a quick, easy read. It’s not overly complicated and not overly involved with tons of plot twists…it’s easy to follow and a good ‘mental’ break from other complicated mystery plots. I have read other reviews about this book and the series…overall most say the same things, it’s good but not complicated. I’m sorry but sometimes one just needs to read something fun and uncomplicated. As I have also said before though, the same things that I love about this series are the same things that I don’t like about the series….double edged sword to be uncomplicated I guess. For me, the first book in the series is always the best (usually) because all the books that follow after that always (or at least most of the time) follow the same formula as the first. I can’t say that this series is different in that regard but the steady changes in the characters make the series progress consistently and with enough action to keep the reader interested and engaged in the story. There isn’t much carry over from book to book, meaning the mystery is solved, start to finish, in one book without really drawing heavily from the previous books….though in this latest book the mystery ties in with previous books. There is also the personal lives of the characters that also continue throughout the series. The Fleet Street Murders begins with the likable protagonist Charles Lenox, the quintessential upperclass Victorian gentleman who spends his days as an amateur detective (similar to another timeless literary figure, Sherlock Holmes)……most of his upperclass friends frown on his job but he still manages to maintain an overall acceptance from his friends. Lenox is engaged to his lifelong friend Lady Jane and we also begin to see more of the younger apprentice, Dallington, who like Lenox runs in very elitist circles. This time Lenox is starting to make the transition from detective to politician (his original life long dream) but he is torn between his love for both professions. While in between cases Lenox starts his political campaign by running for a seat at parliament. The ‘seat’ is a small northern town so Lenox must split his time between Stirrington and London. Just before he starts his campaign, two…almost simultaneous….brazen murders of two well known journalists, make the London papers and Lenox finds that he now can’t devote all his time to solving crimes. He tries to not get involved with the murders but then Dallington comes to him when his friend is arrested for the murders begging Lenox to investigate. Lenox struggles to keep up with both his political career and the murder investigation…..quickly Lenox realizes that he can’t do it all, he must choose between the two professions he loves most. Somehow Lenox manages to balance both jobs throughout the book, but I think it is clear that he can’t keep up wit both jobs forever. He begins to rely more on Dallington to do his ‘leg work’ which I think is going to be good for Dallington. I liked that their relationship is both friendly and professional and I like how Dallington is growing up so to speak. Without giving too much away, the book followed many of the same themes as the first two mysteries….but then there was one HUGE unexpected turn of events that I didn’t see coming. I am excited about reading the fourth book in the series, A Stranger in Mayfair, soon…maybe not right away because I’ve been promising myself I will read a Wilkie Collins classic…either The Woman in White or The Moonstone as a Halloween treat….you know a real Victorian Gothic sensational fiction mystery for Halloween :)….so that means A Stranger in Mayfair will have to wait till later this season. Oh and as if by now you need anymore convincing about reading the book series….one last comment….these books have the BEST covers 🙂 and I know you shouldn’t judge a book by it’s cover…..well in this case you can, the covers are colorful and engaging…..not to mention interesting. I’ll be honest…..one of the main reasons I decided to read the book series…..was because of the covers :).